When I lived in Spain a few years ago, I traveled from Madrid through what felt like a thousand miles of evenly planted olive trees (only Spaniards have that kind of time) to arrive in the south of Spain. It was not quite spring yet, too early for anything to be in bloom, but I still fell in love with the city and promised myself I would return. 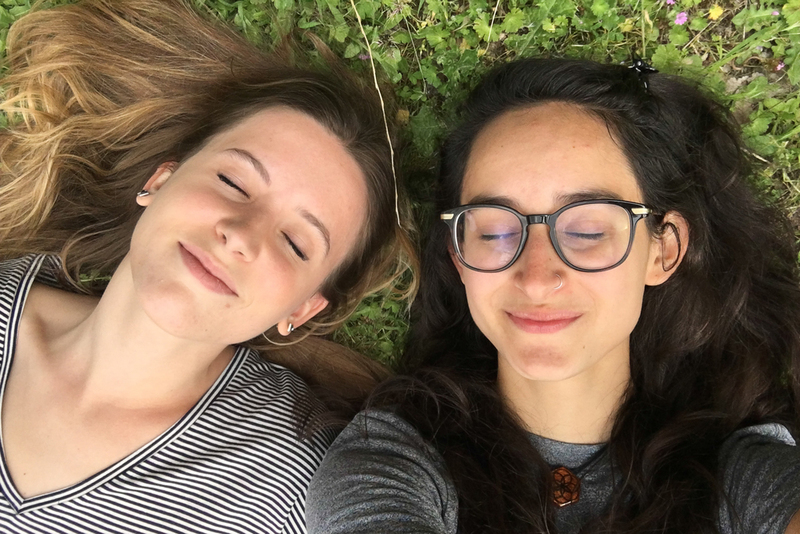 A few weeks ago I fulfilled that promise, traveling with the amazing Sophie (whom I haven't seen in a year after living with her for all of college) and this time, our timing was much better. The scent of wisteria danced through my nose as we meandered through the tiny streets, often with little direction, dodging mopeds and cars. Everyone there has lush gardens ornamenting their white homes, and citrus trees and succulents grow freely in the city that sits on the side of the Sierra Nevada mountains. Time is slower, and the city's inhabitants absolutely love to chat with you about anything, as long as you can speak Spanish. They may direct you to the completely wrong bus stop, but their intentions are usually good. 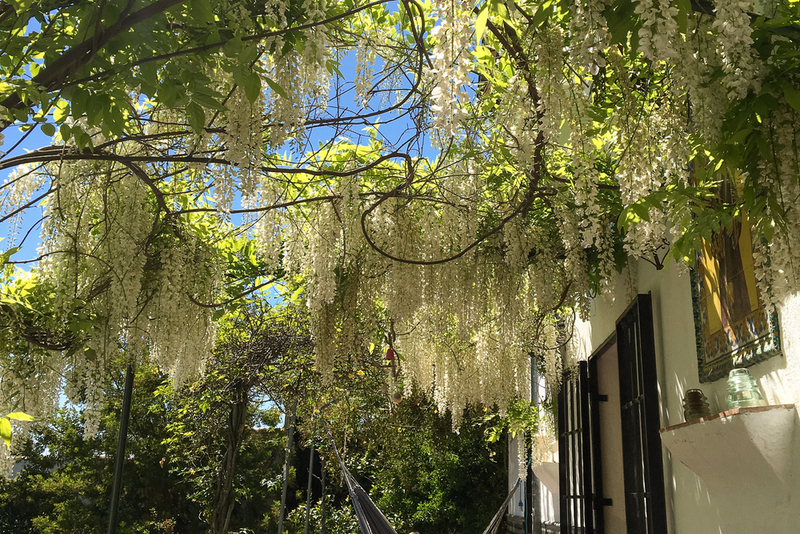 It was May, and the old Andalusian city of Granada was in full bloom. 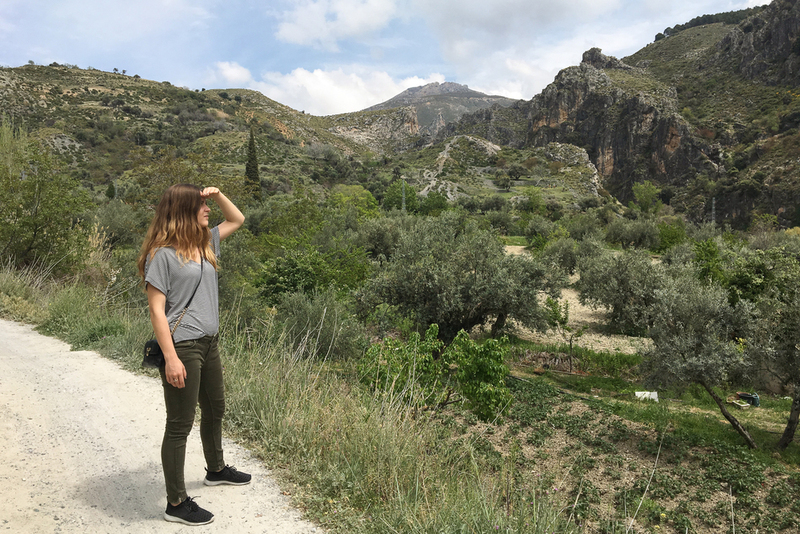 Since Granada sits nestled in the foot hills of the Sierra Nevada, my first instinct was to navigate Sophie and I to the closest hiking trail. We adventured to Los Cahorros in the town of Monachil, an easy hike but hard location to find on foot. You must take the 183 bus from Granada to Monachil village, as the buses 181 and 182 (which we took) drop you off about a mile or two in the outskirts of the town. In Monachil, painted signs point you in the right direction of the trailhead, however eventually the signs disappear and you're left to ask every local which dirt road the trailhead is on. But you will find it , eventually, and then you will be immediately glad you utilized your Spanish skills when you are struck by the majestic beauty of the landscape. 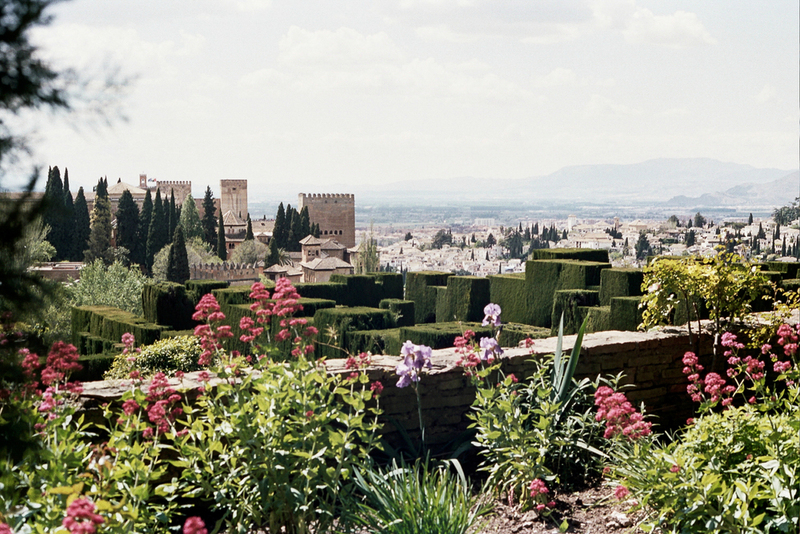 Overlooking the city of Granada lies The Alhambra, originally a Moorish palace and fortress. After the Christian Reconquista in the late 1400's, it became the Royal Court used by King Ferdinand II & Queen Isabella I. Tickets sell out weeks in advance, and rightfully so, as not only is the intricate architecture of the Royal Palaces stunning, but the surrounding gardens are also just as beautiful. The Alhambra to me is the Spanish-Arabic version of the French Palace of Versailles, as they are my two favorite palaces I have seen in the western world. You can easily spend the entire day at the Alhambra. Sophie and I packed our lunch and ate it in the gardens, but there are a couple of small restaurants you can eat in as well. 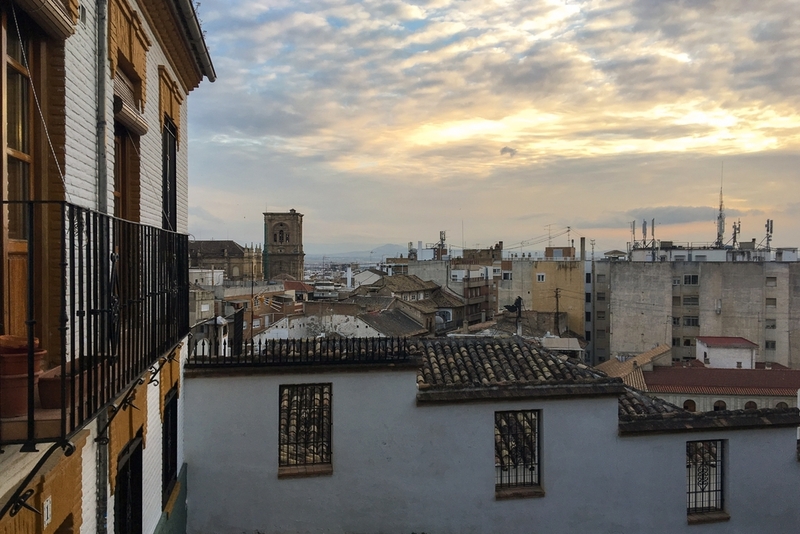 The views overlooking Granada are incredible, and on the other side you can see the snow covered mountain peaks. 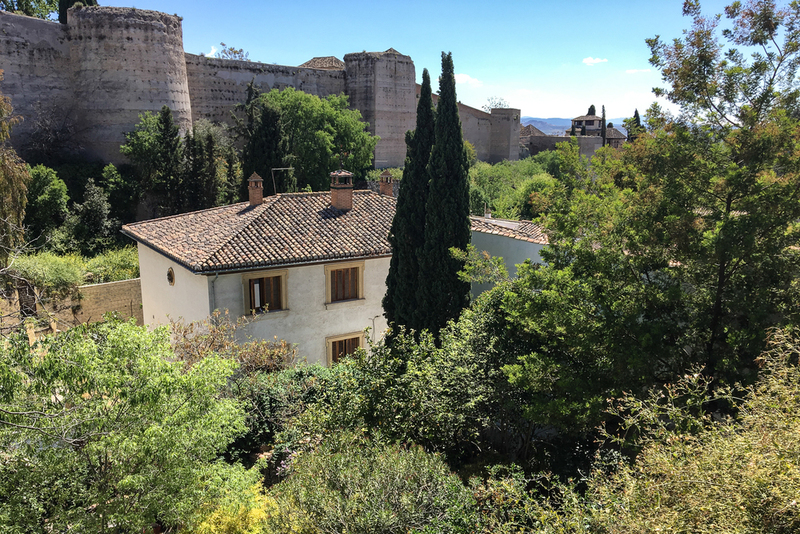 Our home in Granada was an amazing find, as we stayed in a Carmen, specifically the Carmen La Cuesta in the Albayzín quarter of Granada, which is a large house that has a magnificent garden, fountains, and high walls that create an oasis behind its tall gates. Its garden is not just for aesthetics, but also is a place to cultivate food. The people who owned the Carmen we stayed at explained to us that years ago, it was also a special place that women were able to de-veil themselves and could walk around freely. Sophie and I were placed in a room in the tower of the Carmen with great views of the city. Every Saturday, at the Carmen La Cuesta, they throw a party with drinks, tapas, and Flamenco dancers. Since it is in their home, the experience was very intimate and we got to talk with our housemates and guests who came to see the show. Even if you aren't renting a room from them, you can still attend as the show is open to the public. 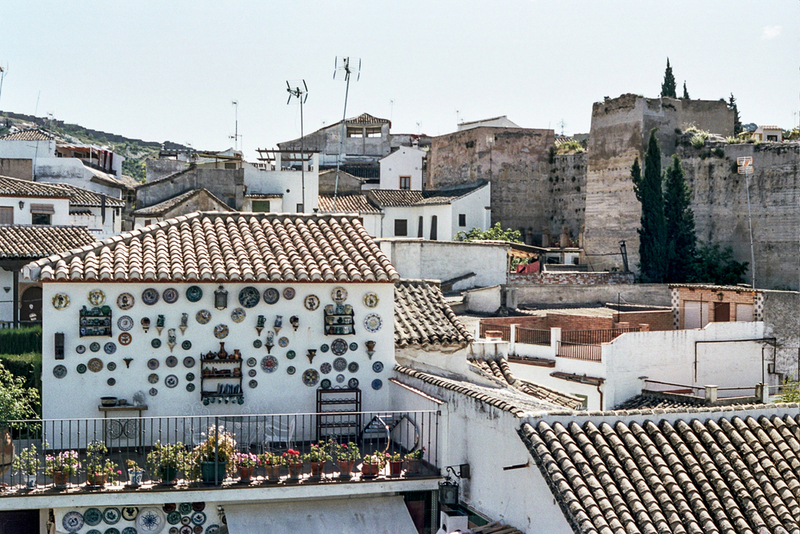 The Albayzín quarter is one of the oldest in Granada, has some of the best views, great places to dine and get drinks, and has an unequivocal charm from its winding streets that truly gives Granada its personality. 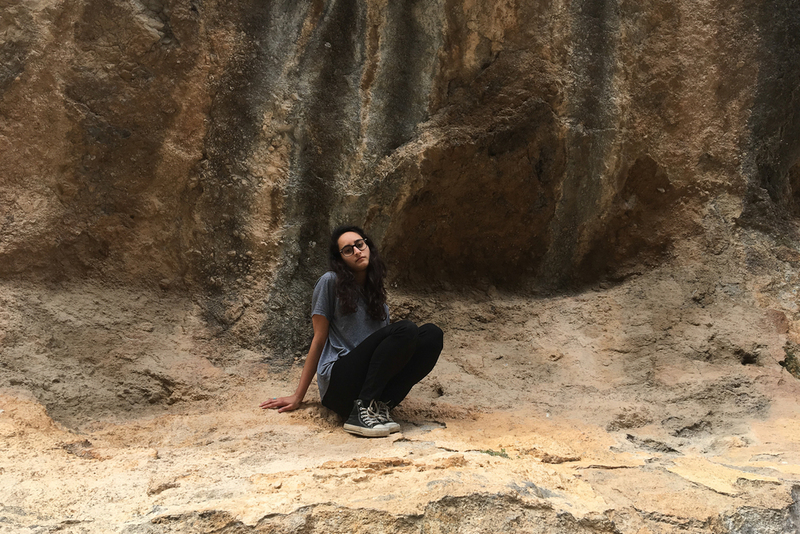 Our Carmen was located a five minute walk away from the gorgeous overlook Mirador San Nicolas and an easy to walk down to the Carrera del Darro, a beautiful street running along side a creek. I find traveling to be wonderful, and it may sound cliché, but it truly does open your eyes to new things. The place you exist, at whatever point in time, partially informs how you react to situations, which is why I like to put myself in new places as often as I can. On a primitive level, people are quite similar, however location and culture has a huge impact on both individual and group mentalities. My Grandma has a great saying which is "You can read all about it, but really, you've just got to go". And if you want to go to Granada, go in the spring. The scent of blooming flowers are truly overwhelming, in the best possible way. If you like what I post, you can subscribe to my blog below the comment box!